Les Paul rehearses at the Iridium Jazz Club in New York before his regular Monday night gig on Oct. 4, 2004. 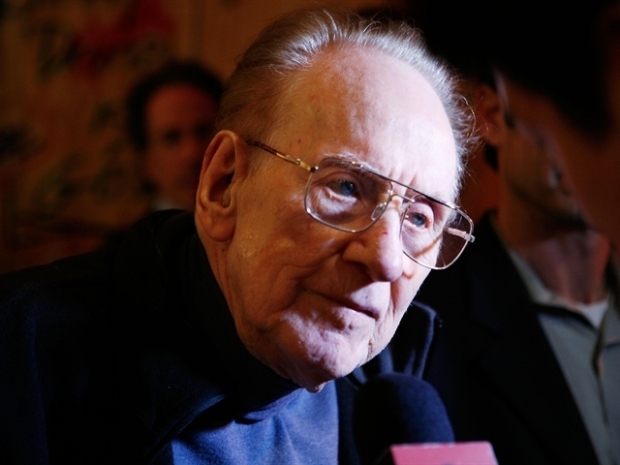 Legendary guitarist and inventor Les Paul, who changed the course of music with the electric guitar and multitrack recording and had a string of hits, many with wife Mary Ford, died on Thursday. He was 94. As an inventor, Paul helped bring about the rise of rock 'n' roll and multitrack recording, which enables artists to record different instruments at different times, sing harmony with themselves, and then carefully balance the "tracks" in the finished recording. He was born Lester William Polsfuss in Waukesha, Wis., on June 9, 1915, according to the Iridum Jazz Club's website, where he still played every Monday. Musically gifted at a young age he was performing publically as a honky-tonk guitarist by the age of 13. Paul had been toying with electronics and guitar amplification ever since he was a boy, and in the 1930s he began constructing his own electric guitar, since he was unhappy with what was currently available on the market. "I was interested in proving that a vibration-free top was the way to go," he has said. "I even built a guitar out of a railroad rail to prove it. What I wanted was to amplify pure string vibration, without the resonance of the wood getting involve in the sound." In 1941, with the help use of Epiphone's plant and machinery, Paul came up with what he called "The Log," a four-by-four piece of wood strung with steel strings. "I went into a nightclub and played it. Of course, everybody had me labeled as a nut." He later put the wooden wings onto the body to give it a tradition guitar shape. In 1952, Gibson Guitars began production on the Les Paul guitar. According to Gibson, Paul died of complications from pneumonia at White Plains Hospital. His family and friends were by his side. 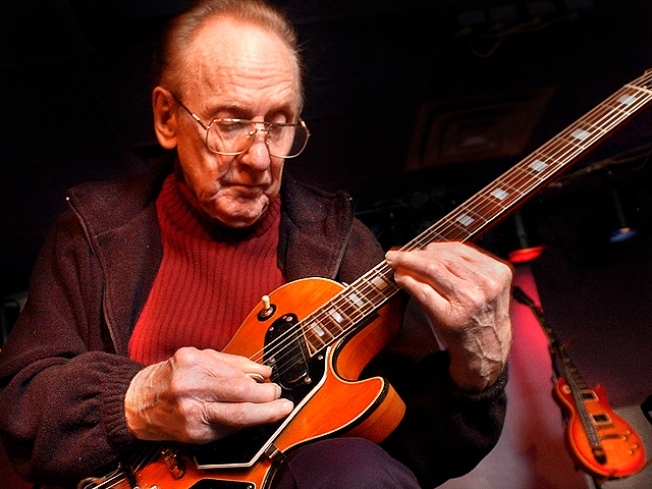 He had been hospitalized in February 2006 when he learned he won two Grammys for an album he released after his 90th birthday, "Les Paul & Friends: American Made, World Played." "I feel like a condemned building with a new flagpole on it," he joked. With Ford, his wife from 1949 to 1962, he earned 36 gold records and 11 No. 1 pop hits, including "Vaya Con Dios," ''How High the Moon," ''Nola" and "Lover." Many of their songs used overdubbing techniques that Paul the inventor had helped develop. "I could take my Mary and make her three, six, nine, 12, as many voices as I wished," he recalled. "This is quite an asset." The overdubbing technique was highly influential on later recording artists such as the Carpenters. The use of electric guitar gained popularity in the mid-to-late 1940s, and then exploded with the advent of rock the 1950s. "Suddenly, it was recognized that power was a very important part of music," Paul once said. "To have the dynamics, to have the way of expressing yourself beyond the normal limits of an unamplified instrument, was incredible. Today a guy wouldn't think of singing a song on a stage without a microphone and a sound system." Pete Townsend of The Who, Steve Howe of Yes, jazz great Al DiMeola and Led Zeppelin's Jimmy Page all made the Gibson Les Paul their trademark six-string. Over the years, the Les Paul series has become one of the most widely used guitars in the music industry. In 2005, Christie's auction house sold a 1955 Gibson Les Paul for $45,600.